Looking for a truly elegant gift for your team? Choose our Laser Engraved Bamboo Pen Case! This beautiful wood box has ample space to feature your personalized message lasered directly into the wood. 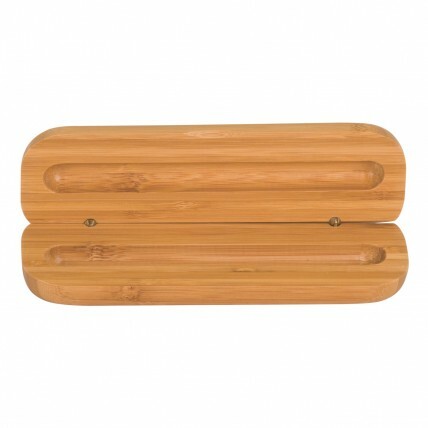 Go with a green alternative and select this wonderful piece made out of certified renewable bamboo! Pick up a great "green" award that will be proudly displayed on your team's desk! This Laser Engraved Bamboo Pen Case includes up to four lines of laser engraving straight into the wood!